But it was recently brought to my (appalled) attention that not everyone does know about Cuisine Bangkok, and so while this will probably be quite repetitive for many, hopefully it inspires the few who havenâ€™t had the joy of eating Bangkokâ€™s food to head downtown and get the best Thai around. 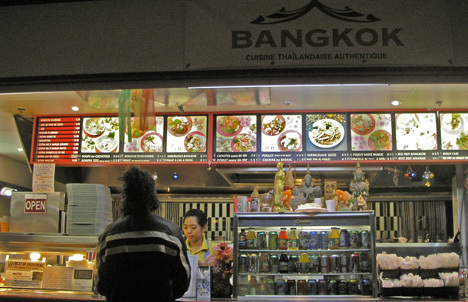 With the exception of maybe one or two Thai restaurants, Bangkok offers the best Thai in the city. 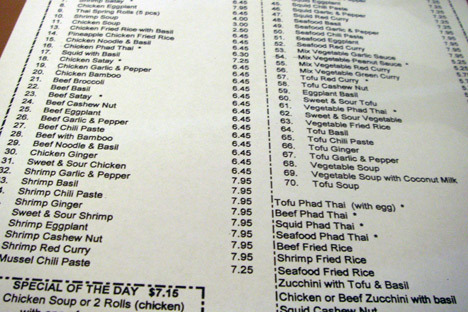 Considering their low, low prices and quick service, itâ€™s rare that I eat anywhere else Thai but here. 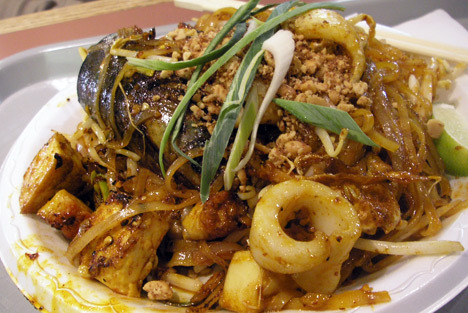 My favourite dish is their infamous phad thai. The seafood option comes with (a) shrimp, mussels, squid, tofu, egg and enough noodles to fill two people. Its sauce is just perfect, and I appreciate that you can order the food to contain the amount of spiciness you want (though my pleas to have it made as spicy as possible often seem to be ignored). Short and sweet for those of you not in the Bangkok-Know. Do not let another day go by! I'm going there for dinner today pre-movie, can't wait! Thanks for the tip! and I'm impressed! Very helpful info particularly the last part :) I care for such information much. to thriving in older age and preserving your cherished financial resources.